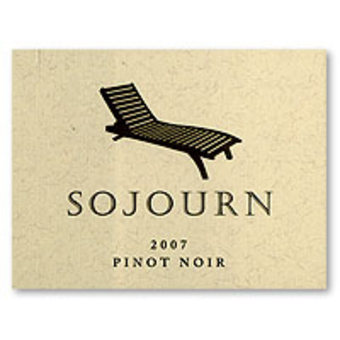 Sojourn Cellars began in 2001, a collaboration of two friends committed to producing distinctive pinot noir in a region that, arguably, leads the world. 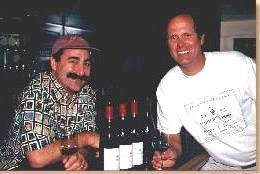 CraigHaserot and winemaker Erich Bradley source their grapes from vineyards north of Sonoma, near Cotati, where I watched my uncle race formula cars in the early sixties. Today, we tasted three single vineyard pinots, one asserting a 96-point rating from the Pinot Report. We began with the 2009 Sojourn Cellars Sangiocomo Vineyard Pinot Noir ($54/96), a wine that put across an earthy, dark fruit nose followed by complex flavors and a rich, creamy texture. Not a bad beginning. The second pour was a pinot noir from Gap’s Crown Vineyard whose out-sourced grapes are used in many fine wines. The 2009 Sojourn Cellars Gap’s Crown Vineyard Pinot Noir ($54/95) comes from a hilly slope with stressed soil pushing the grapes to fully ripen, producing those jammy, concentrated flavors that are nicely structured. Many winemakers could not resist “bootlegging” some of their other varietals into “Pinot Fest 2013” and, in this instance; it was two new Cabernet Sauvignon wines from extraordinary vineyards that were about to steal the show. The Beckstoffer Georges III Vineyard is royalty among the many great Napa Valley cabernet sauvignon vineyards. The name adorns the label of many great $100+ wines from the Napa Valley floor in Rutherford. The 2009 Sojourn Cellars Beckstoffer Goerges III Cabernet Sauvignon ($95/) was, of course, very full-bodied with deep dark cherry flavors and luscious textures, a wine to savor. A late frost, prompting a decision to cut back clusters, reducing volume, ultimately led to a wine rich both in structure and flavor that was one of the “hits” of the show. 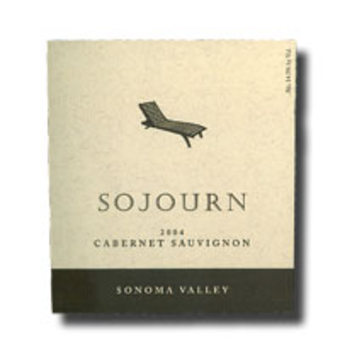 A suitable descriptive adverb for the 2009 Sojourn Cellars Home Ranch Vineyard Cabernet Sauvignon ($48) is “opulent,” with complexity and structure of wines twice the price. For those serious about cabernet sauvignon, this is a find. producing 150,000 cases annually. 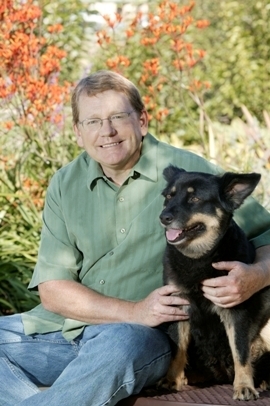 Now operating in the Santa Maria Valley AVA, north of Santa Barbara, Volk is producing pinot noir, cabernet sauvignon and chardonnay under the label that bears his name, his signature. Today, we tasted two single-vineyard pinot noir and a few “bootlegged” varietals. 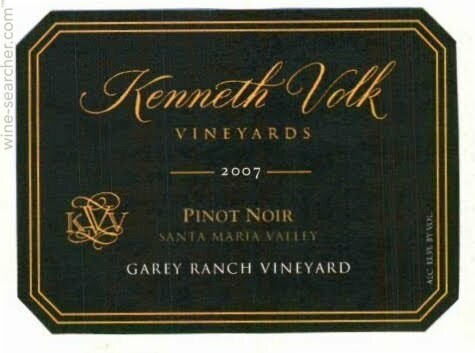 From a small township in the Santa Maria Valley, the 2009 Kenneth Volk “Garey” Vineyard” Pinot Noir ($48) was, clearly, one of the notable wines poured, an atypically huge wine with extracted flavors that can pair with a broader range of food. Aside from the influences of French oak, the warm location of this vineyard allows for full ripening of the grape. For pure elegance in the pinot noir tradition, the Kenneth Volk “Sierra Madre Vineyard” Pinot Noir ($48) has floral and spice aromas and delivers a nice, flavorful finish. Volk’s pinot noir wines are well crafted, respecting the tradition of the Burgundian grape but willing to push the envelope to higher levels. A close look reveals that the Paso Robles region is quietly producing some nice cabernet sauvignon, adding to an already expansive range of varietals that thrive in the area. One example is the 2008 Kenneth Volk Cabernet Sauvignon ($36), sourced from multiple vineyards in the region. Again, French oak is used to create complex smoky flavors that continue through the finish. At 86 years and claimed to be one of the oldest California plantings, the mourvedre vines from the Enez Vineyard produce low-yield, small cluster fruit, resulting in intense flavors. The 2009 Kenneth Volk Enez Vineyard Lime Kiln Valley Mourvedre ($36) earns the prize as the pleasant surprise of the tasting. The flavors also linger on the palate. A decade since the Alexander Payne film, “Sideways” put the Hitching Post restaurant and the region on the map, the eating place and their fine selection of pinot noir, expressive of the local terroir are thriving. their home. Soon, they were making wines for specific cellars and eventually the Hartley-Ostini Hitching Post label, exclusively pinot noir, was born. Personal wine labels, created under the wing of a successful restaurant often fall below expectations of serious wine drinkers. This is NOT the situation at Hartley-Ostini Hitching Post wines. They are the real deal, sourcing grapes from the best vineyards because the partners agree that is where great wines are made. Having met Frank Ostini, Jr. at a Glendale tasting years ago, Gray Hartley was on hand at this event to guide me through their new releases. Combining warm Santa Maria Valley and cool Santa Rita Hills vineyards, the flagship Hartley-Ostini Hitching Post “Highliner” Pinot Noir combines the best barrels of the best vineyards to achieve balanced, complex flavors and the overall elegance typical to the region. pinots from the Fiddlestix and Bien Nacido vineyards both have the structure to become excellent wines in time. Gray’s “bootleg” offering was the reasonably priced Hartley-Ostini “Big Circle” Syrah ($20) sourced, once again, from warm and cool climate vineyards throughout the region. The bouquet hints of the wine’s complex flavors that don’t disappoint on the finish. Recognition also goes out to the new releases of pinot noir from the Brian Loring Wine Company. The technique of sourcing grapes from the best vineyards in California to produce world-class pinot noir has served him and us well. 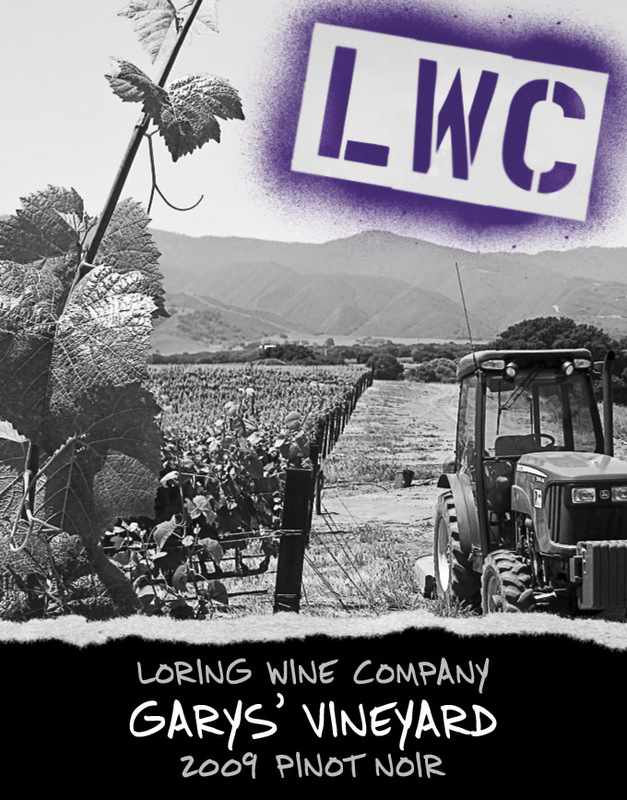 If you enjoy pinots, you will take pleasure in any wine from the Loring Wine Company. This entry was posted on Tuesday, March 12th, 2013 at 5:40 am	and tagged with cabernet sauvignon wines, coastal appellations, fruit flavors, russian river valley, santa rita hills, sojourn cellars and posted in Wine. You can follow any responses to this entry through the RSS 2.0 feed.